Laem Sor is in the deep south, with Laem Set to the east and to the west the area finishes at a headland, beyond which is Thong Krut.The area is very peaceful with the main attractions being the golden pagoda perched at the waters edge, together with the unspoiled tropical beach and beautiful views. 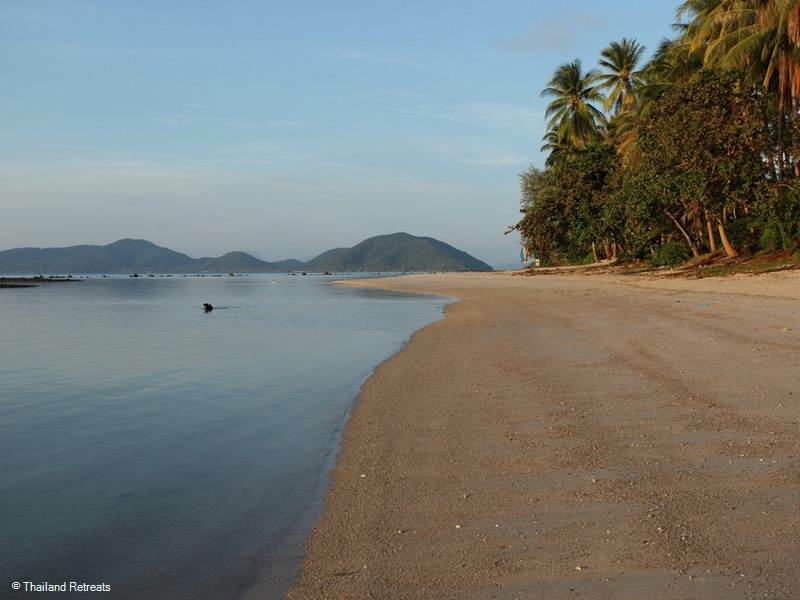 Our Laem Sor villas are quietly located right on an unspoiled beach. Laem Sor is in the deep south with Laem Set to the east and to the west the area finishes at a headland, beyond which is Thong Krut. 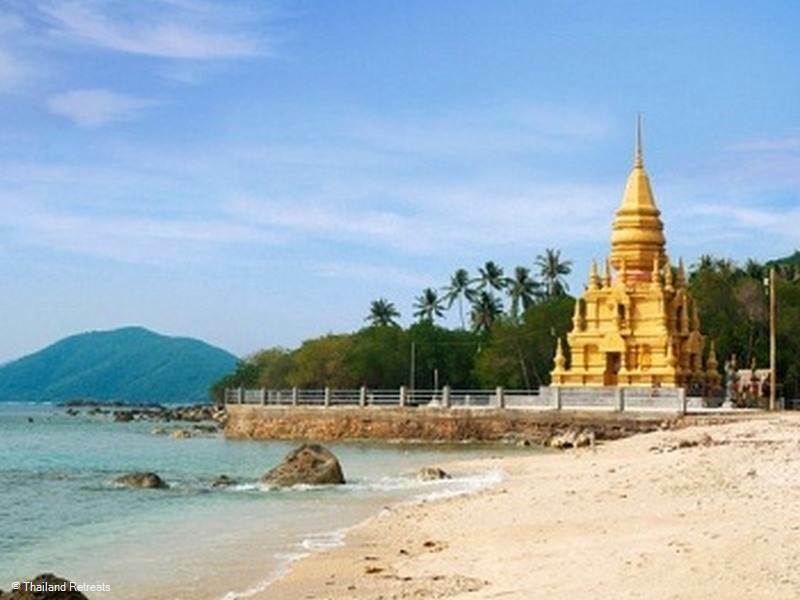 The main attraction here is Wat Laem Sor, part of which is a golden looking Pagoda perched on the waters edge at Laem Sor beach. 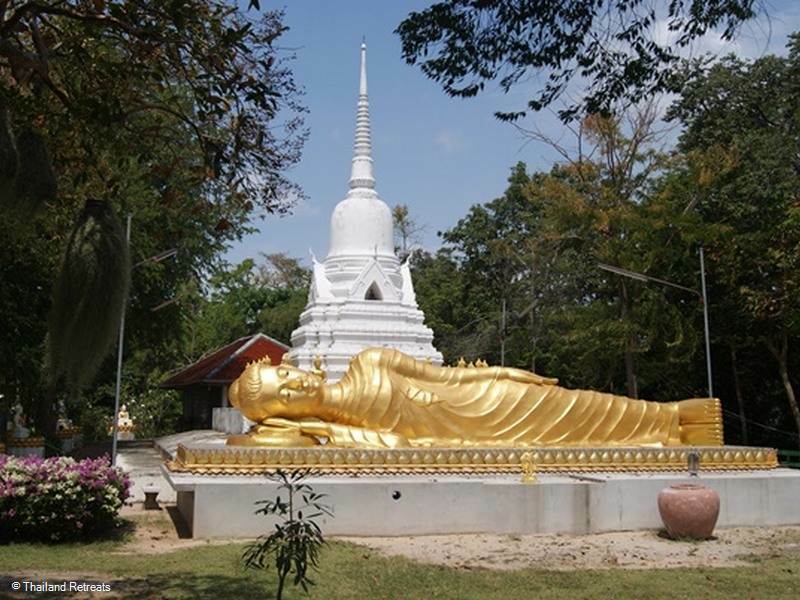 Next to this Chedi which was built many years ago is a 'meditation' forest, where there are also some seats and tables should you wish to stay a while and enjoy the stunning views over to the neighbouring islands of Koh Tan and Koh Matsum and even have a picnic. On Buddhist holy days, monks and lay people will fill the area with a festival atmosphere. Next to this is a boathouse where model boats are placed to thank the monk who built the pagoda, for granting their wishes. A visitor centre is here to provide further information. 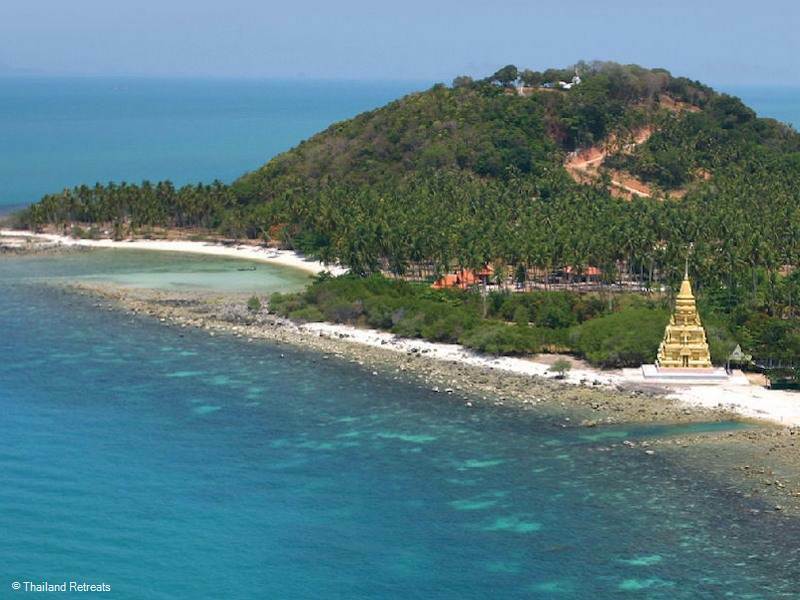 Prior to the existence of Pagoda Laem Sor, a snow white stupa known as Khao Chedi was erected over 100 years ago and sits on top of a steep hill above Ban Khao bay surrounded by various statues of Buddha. 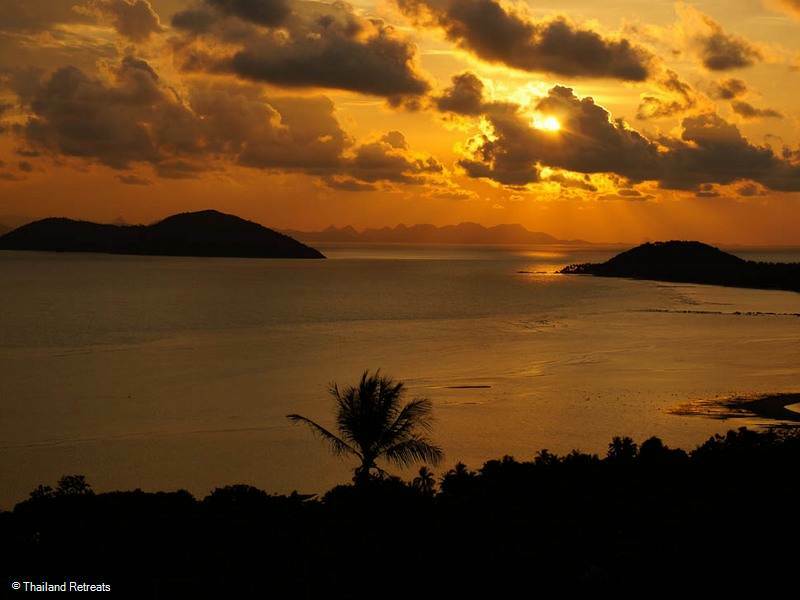 The view over the bay and the islands and mainland beyond is an added bonus. 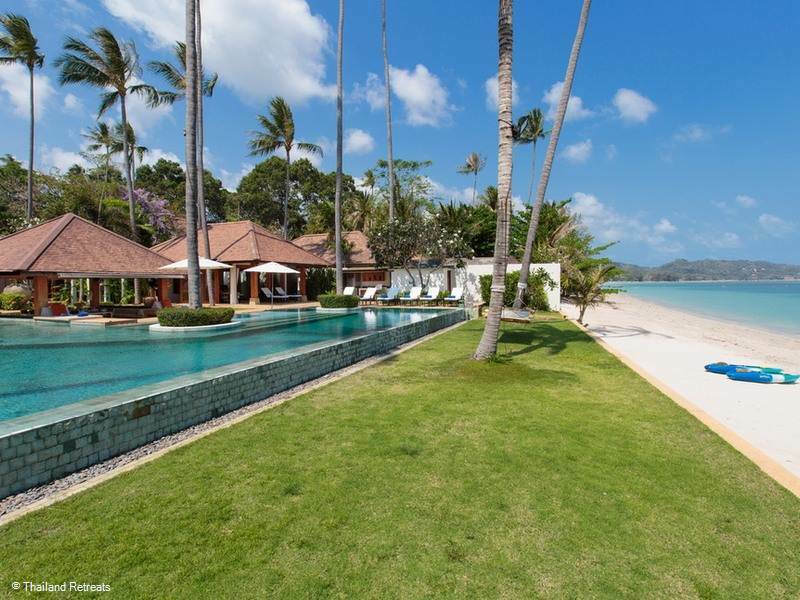 The beach is quite rocky and not swimmable for most of the year, to the west it is narrower and at the western most point a small attractive sandy bay is shared by two high end luxury holiday villas. 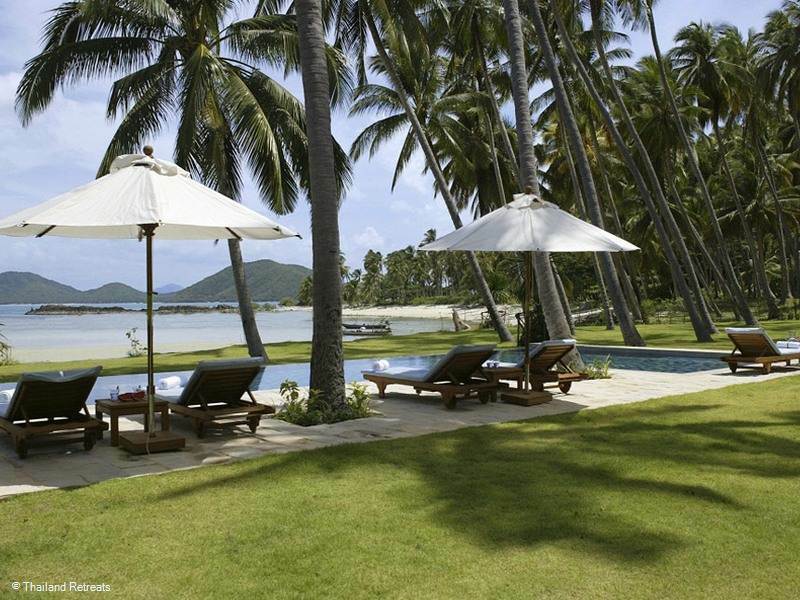 The perfect retreat for a Koh Samui holiday with family or friends. 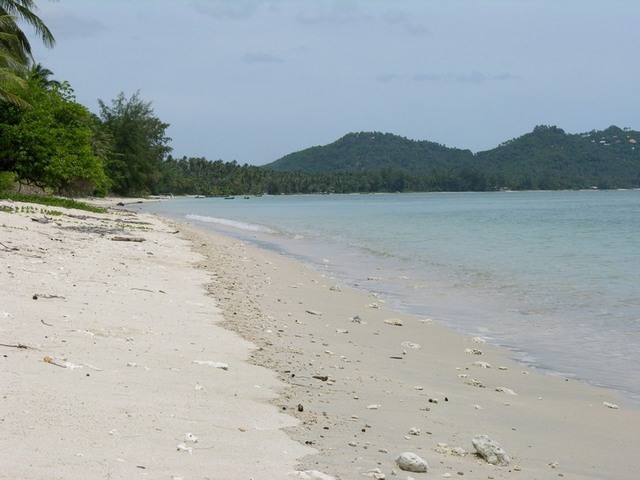 Renamed South Beach by the luxury villas that occupy this bay, to differentiate between this sandy bay which is swimmable most of the year and the main Laem Sor beach which is rocky in places. 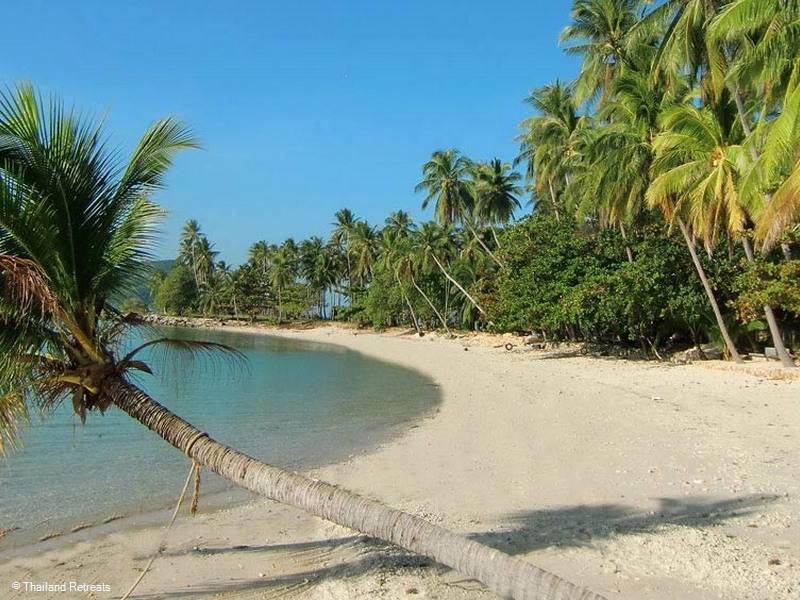 South - A very quiet unspoiled sandy palm fringed beach protected by a coral reef so swimming is not possible at certain times due to the low tide but opens up to a wide expanse of sand for other activities. The beach is rockier towards the western end.